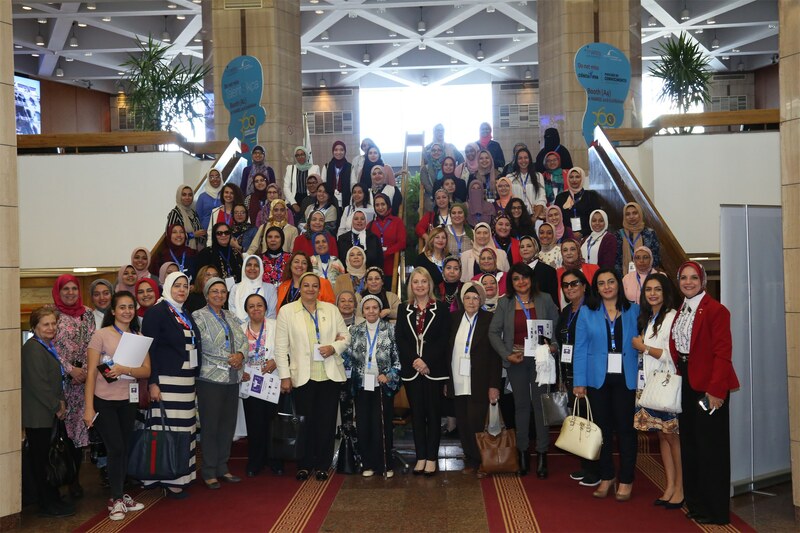 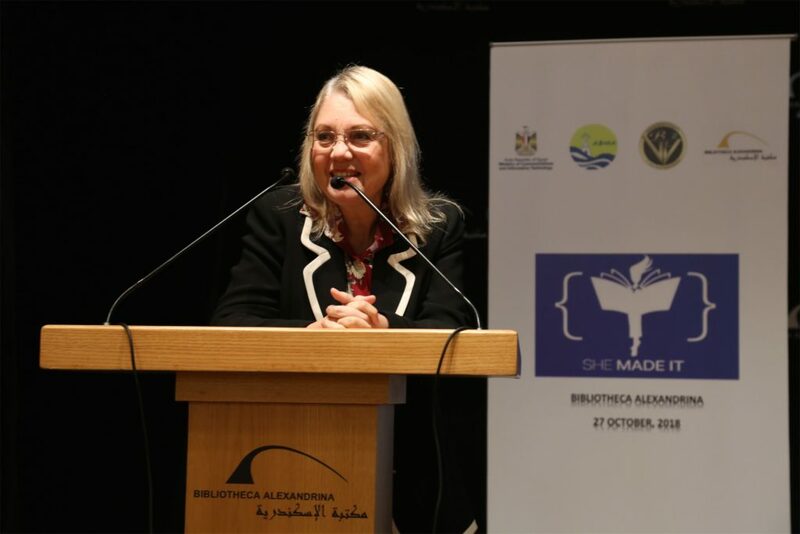 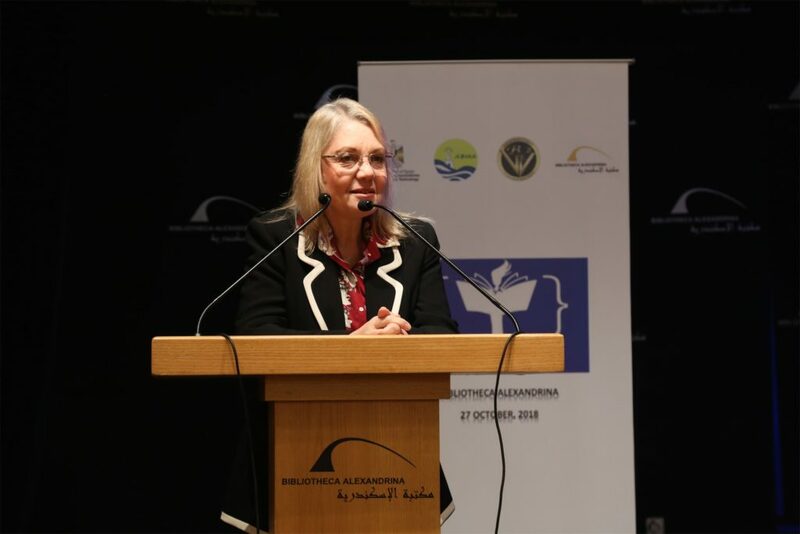 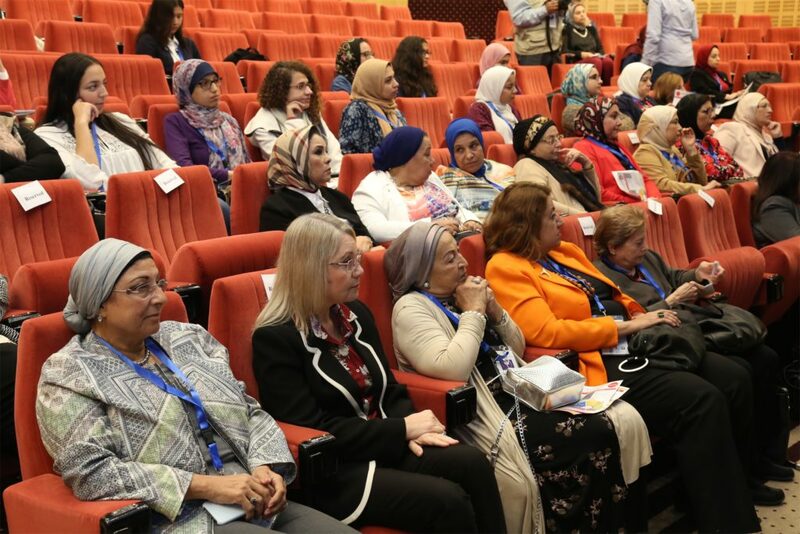 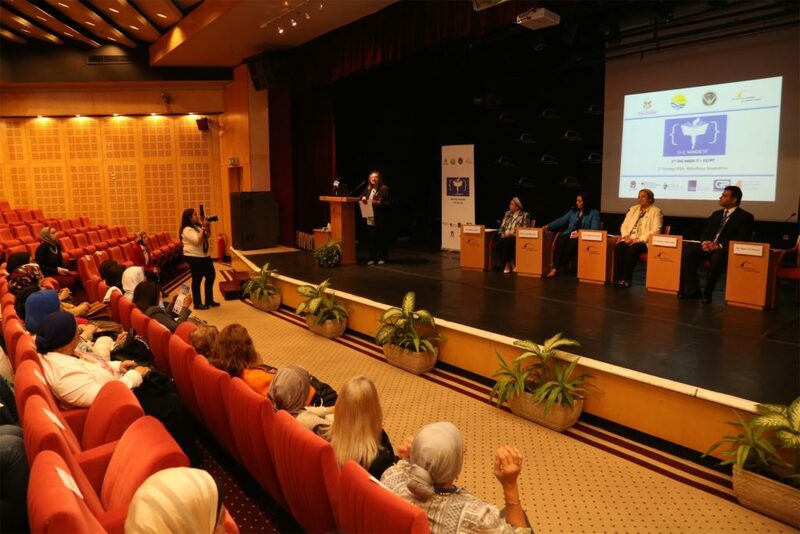 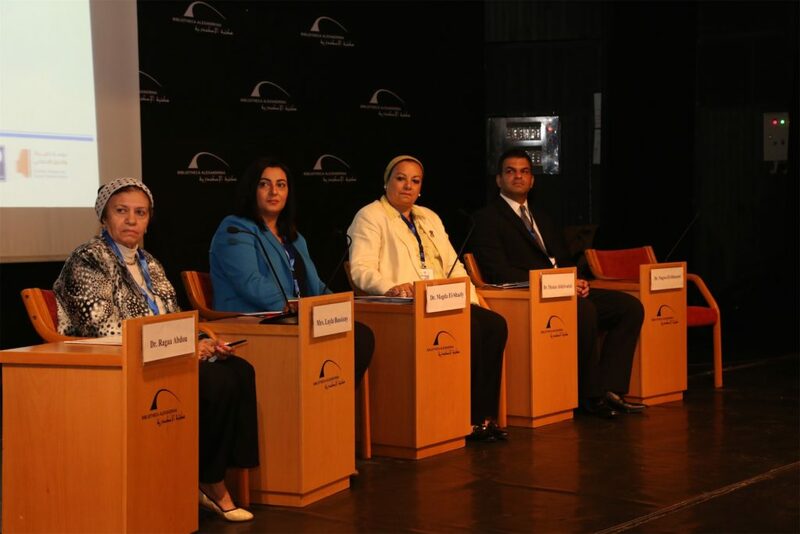 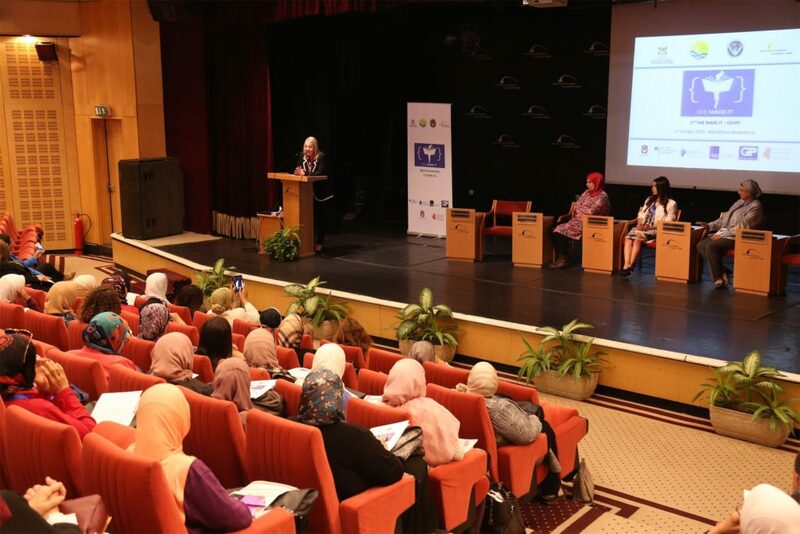 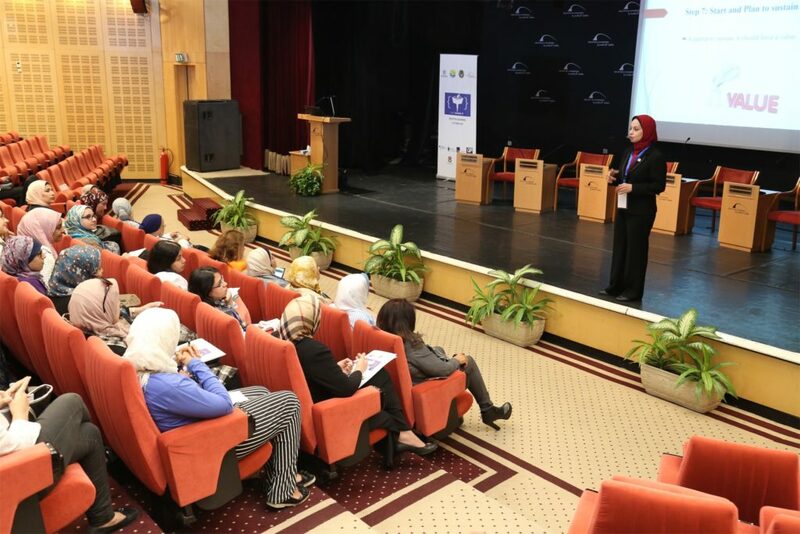 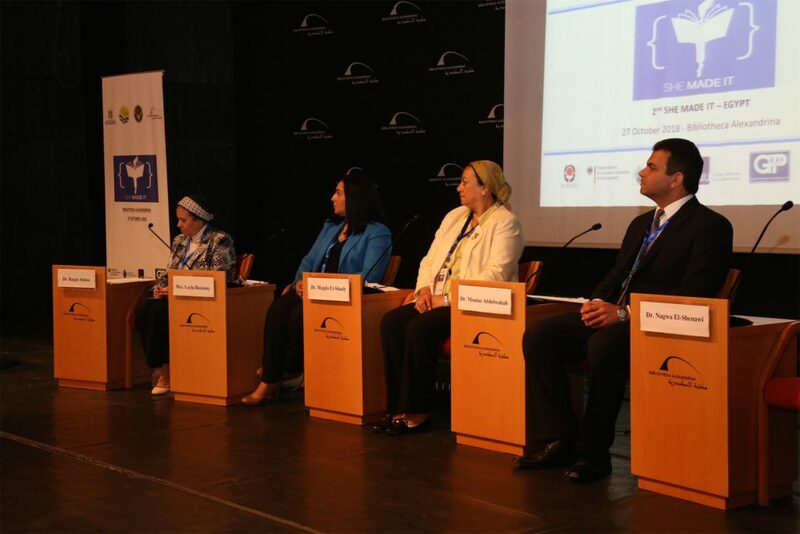 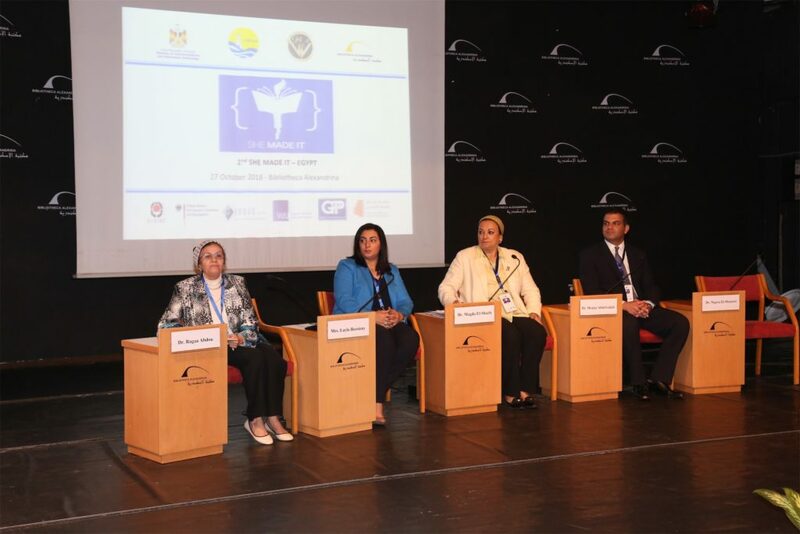 Bibliotheca Alexandrina hosts “SHE MADE IT” opening session of the second day activities to support girls in science and technology fields. 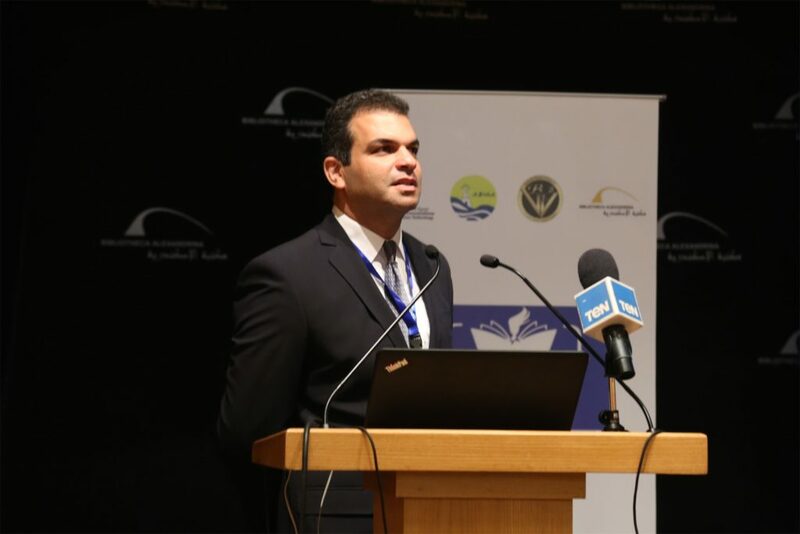 Dr. Moataz Abd El-Wahab, Egypt-Japan University of Science and Technology (E-JUST) presented the University activities since its establishment. 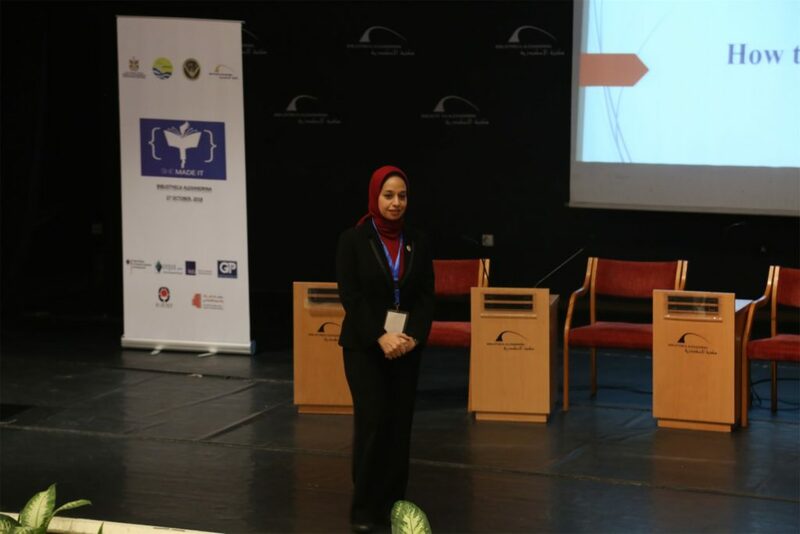 E-JUST aims at strengthening cooperation ties between Egyptian and Japanese academic institutions as well as industrial companies. 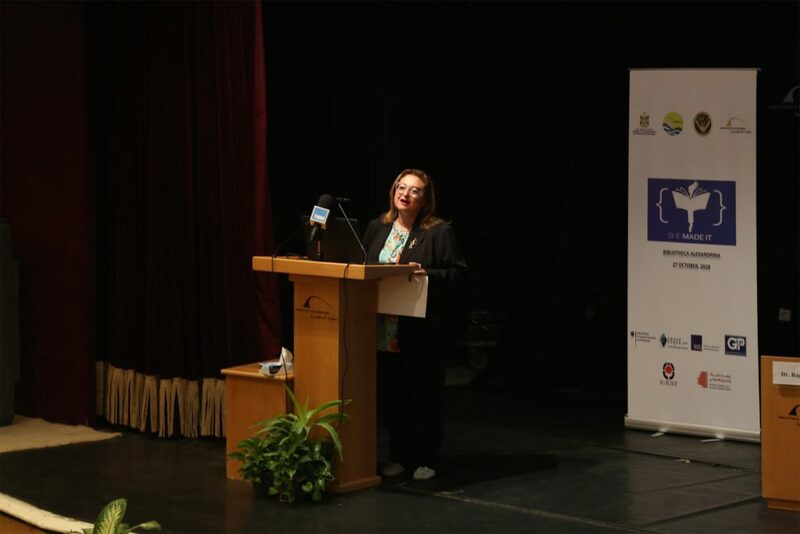 Besides, applying researches based on Japanese educational standards, policies and systems. 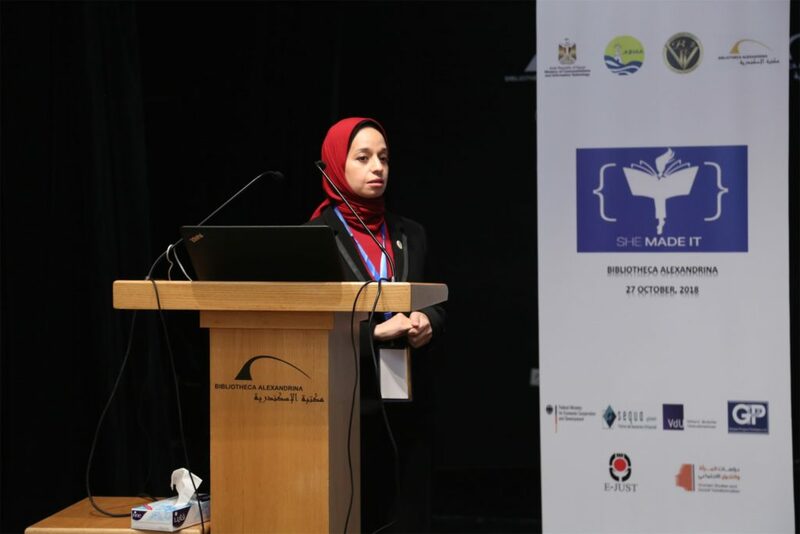 Also, Students interaction and faculty members’ research activities are directly meet the market needs. 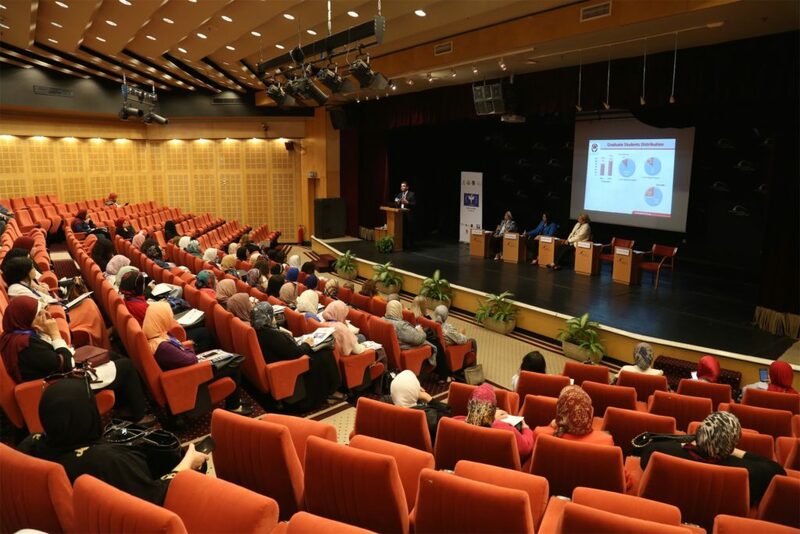 This helps in acquiring further knowledge about the latest Japanese technology, systems and techniques. 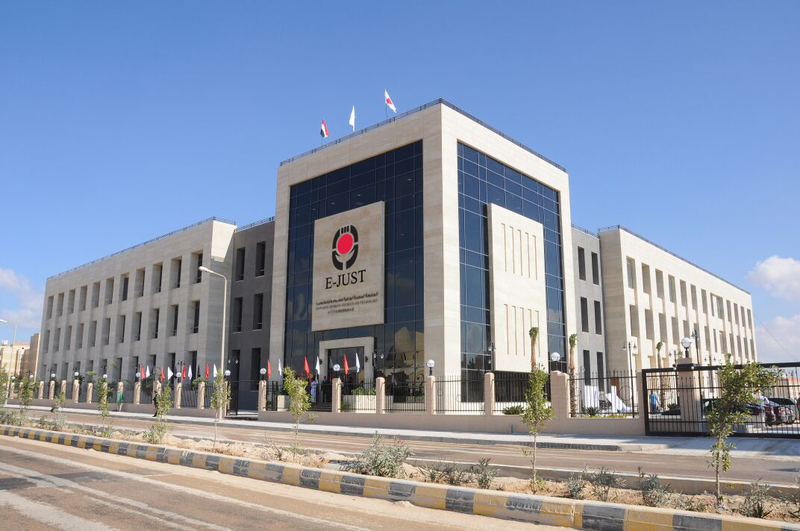 Moreover, he pointed out that E-JUST has graduated 200 students so far, while the percentage of postgraduate students’ registration reaches 25%. 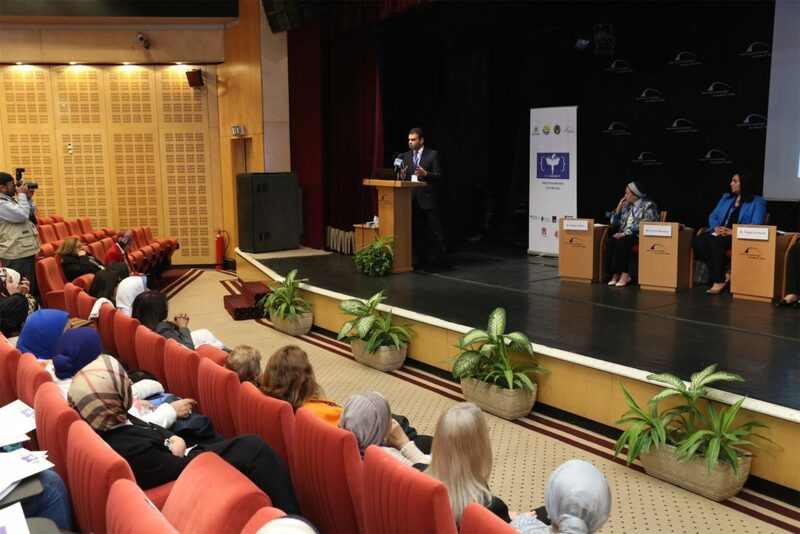 He added that the university provides all possible means, helping the students advance in their studies. 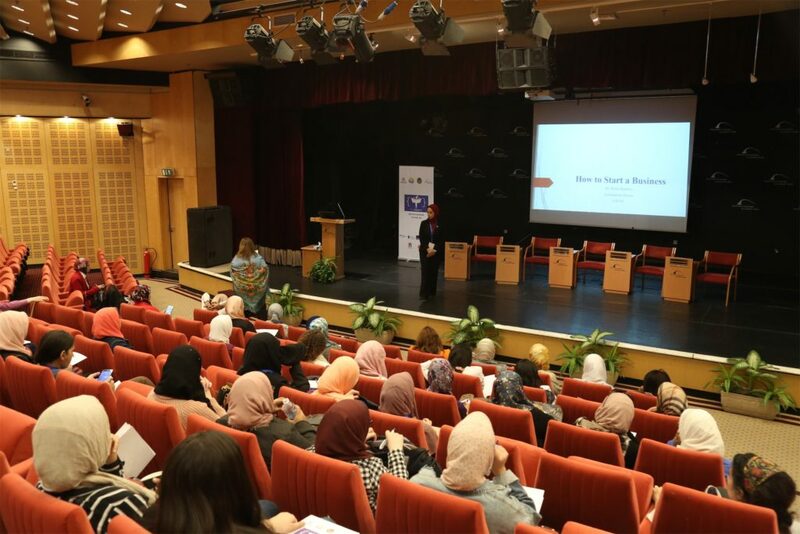 Finally, a number of women and girls reviewed their success stories and the challenges they faced in achieving their entrepreneurial goals.